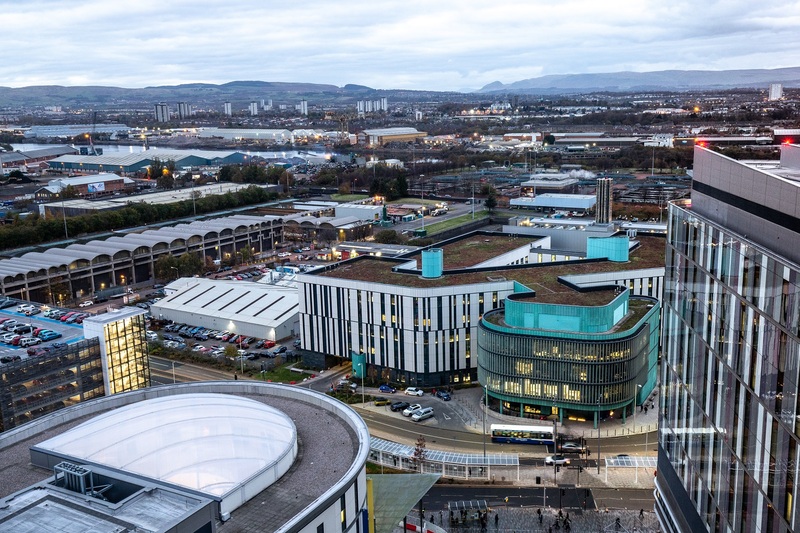 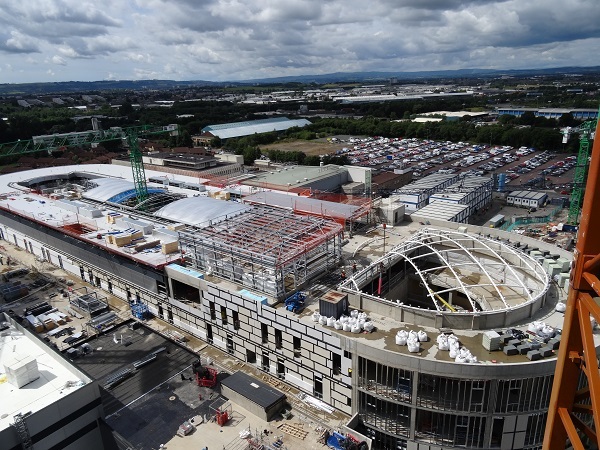 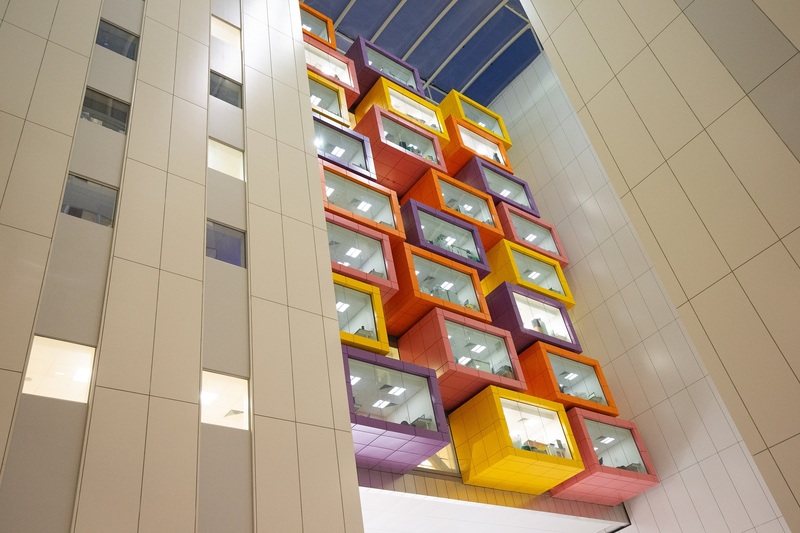 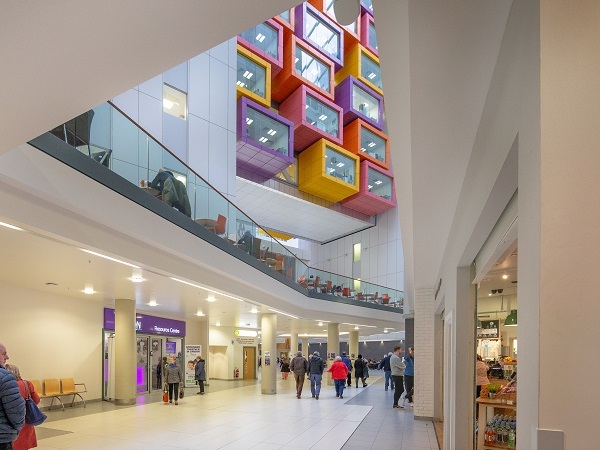 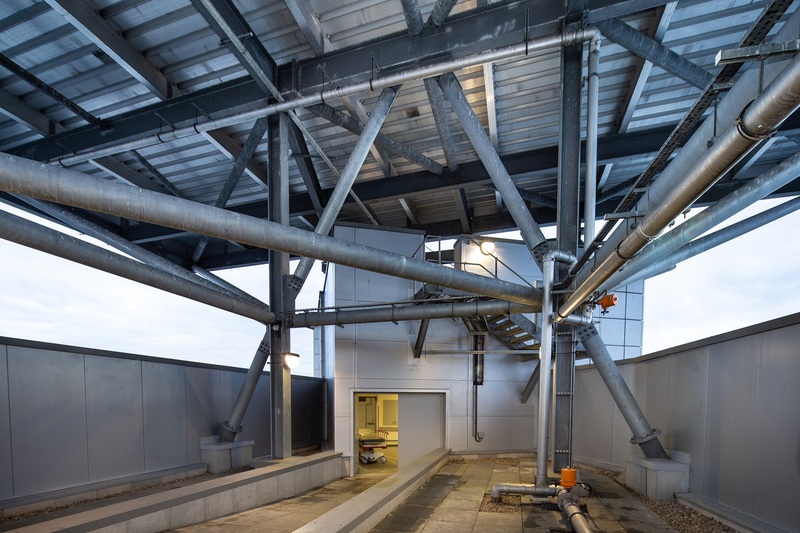 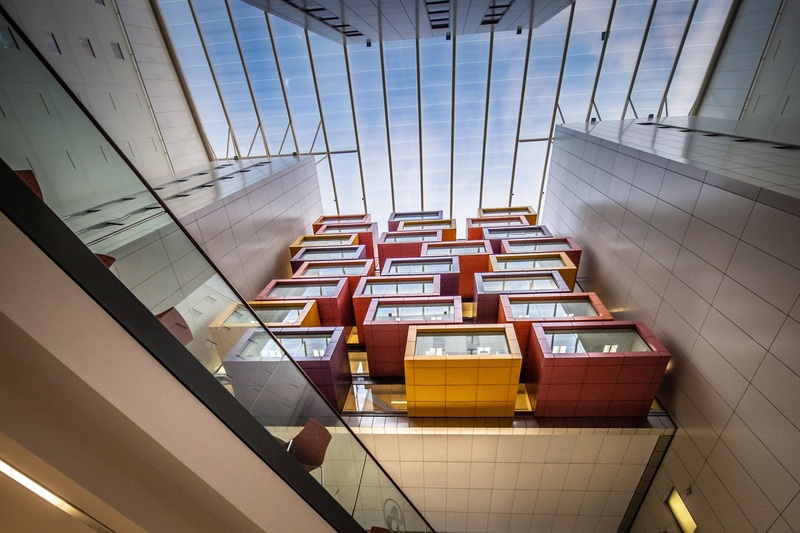 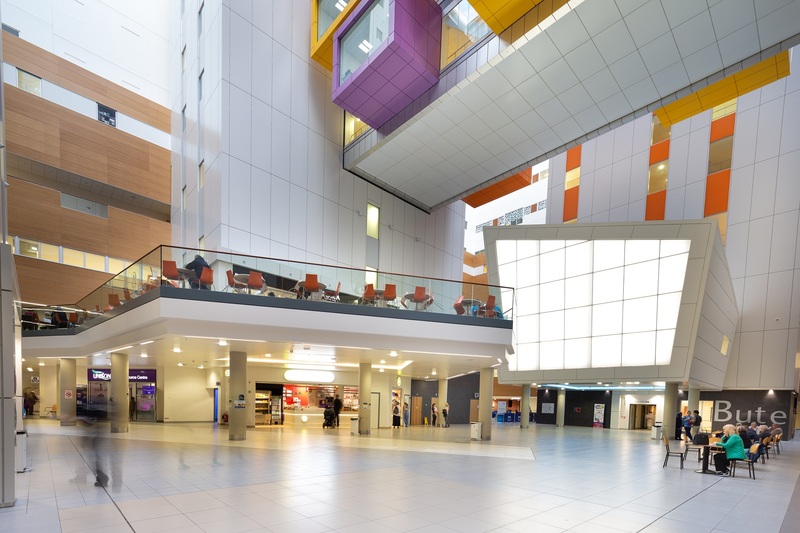 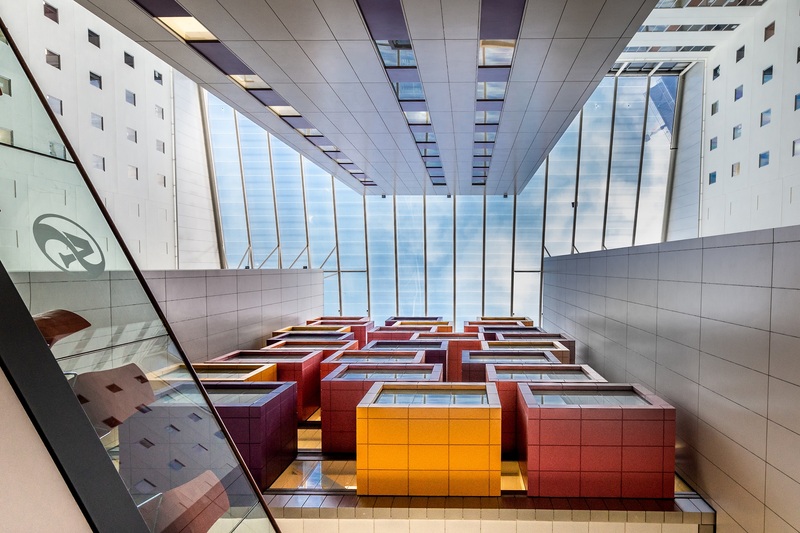 J & D Pierce were awarded the contract for the new Queen Elizabeth University Hospital in Glasgow – comprising roof steelwork, forty prefabricated modules and the erection of two link bridges. 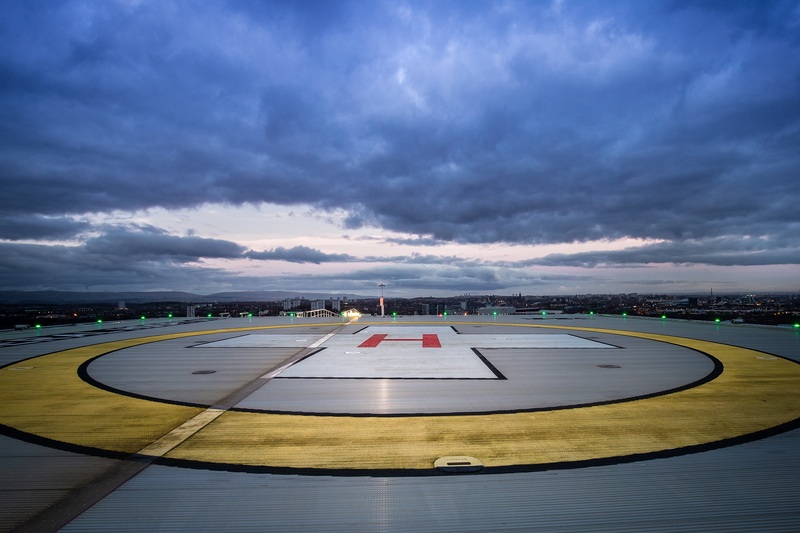 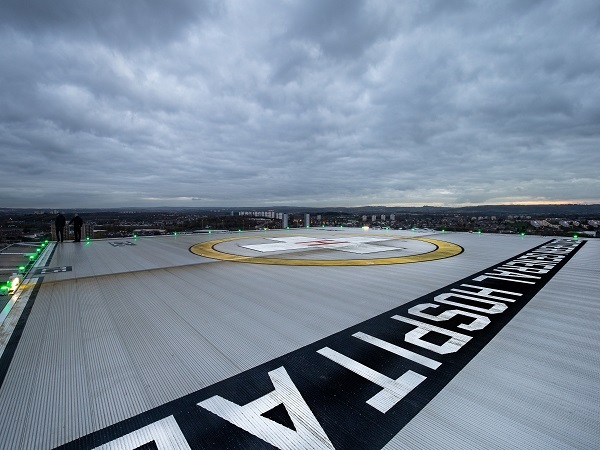 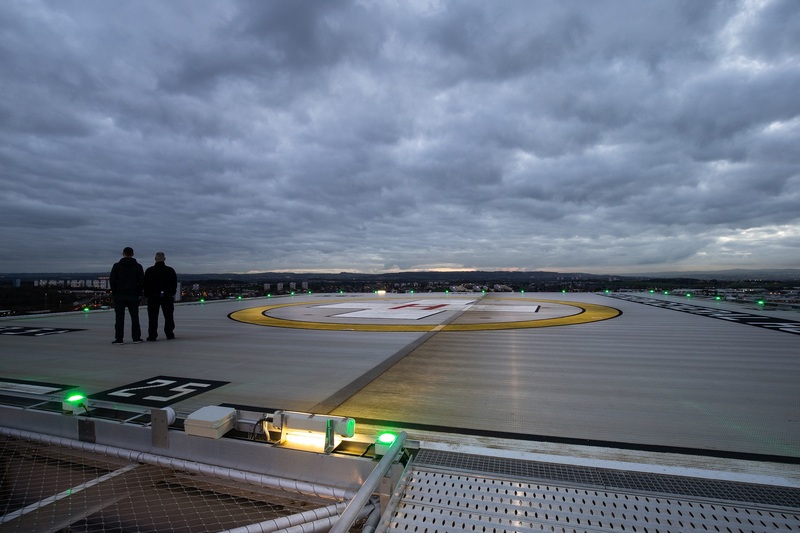 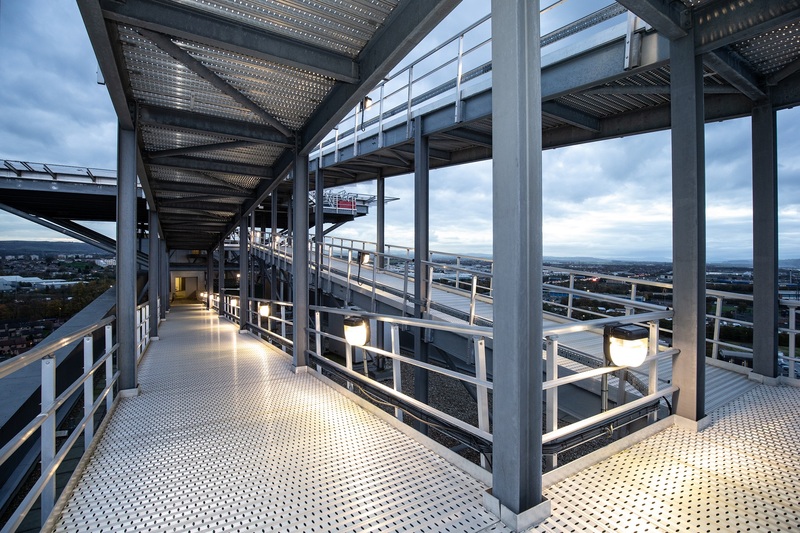 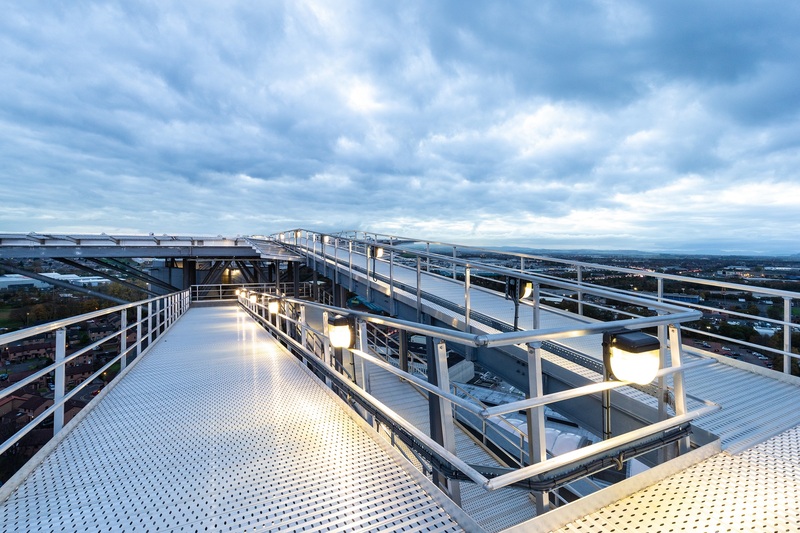 Both the upper floors and helipad consist of J&D Pierce steelwork which both sit atop the main concrete frame. 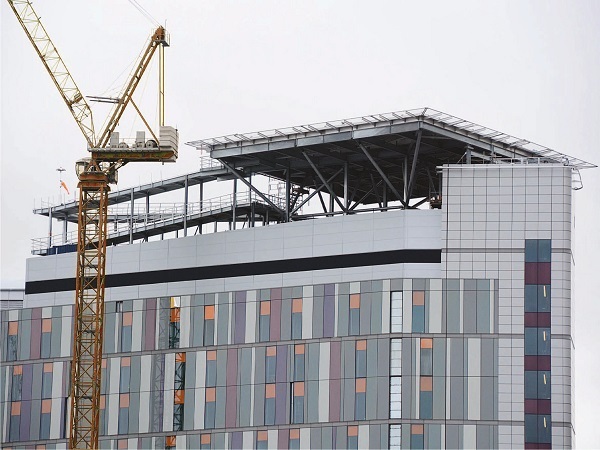 The hospital, which sits at 13-storeys high, posed many logistical challenges. 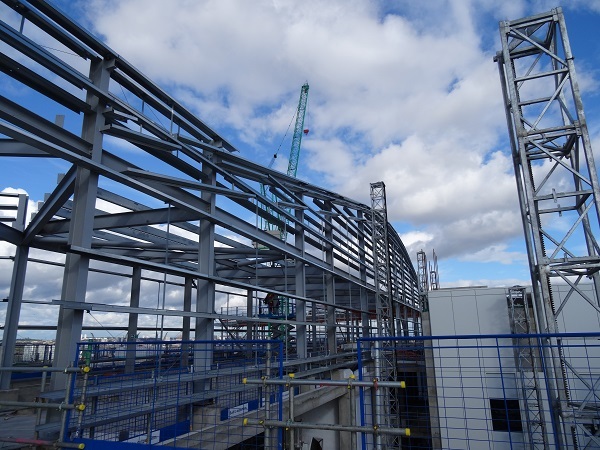 These issues were dealt with by firstly ensuring safe access for our erectors, with a system of spreading and back-propping. 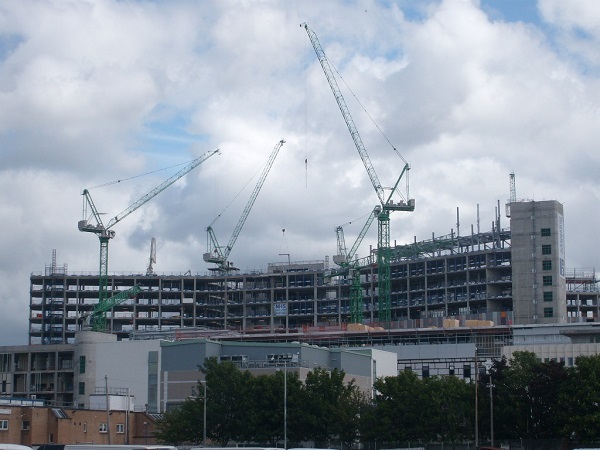 This allowed our tower cranes to begin lifting steel from ground level, simultaneously managing congestion on the limited access roads. 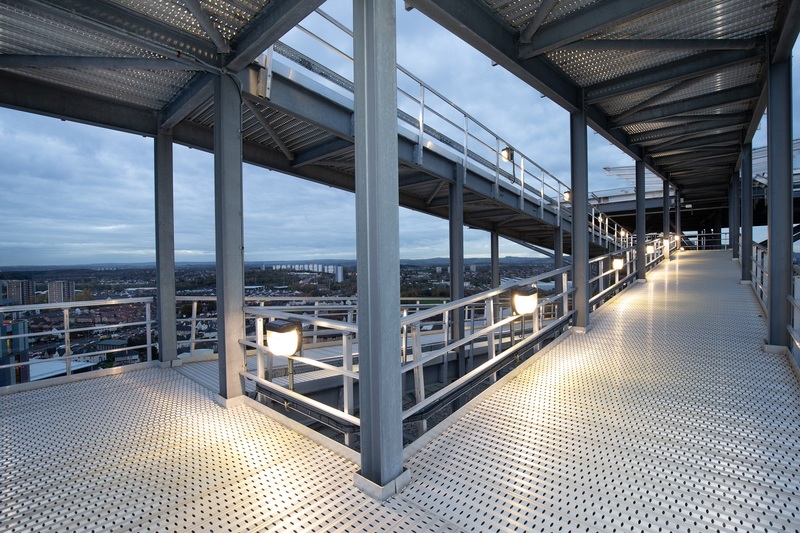 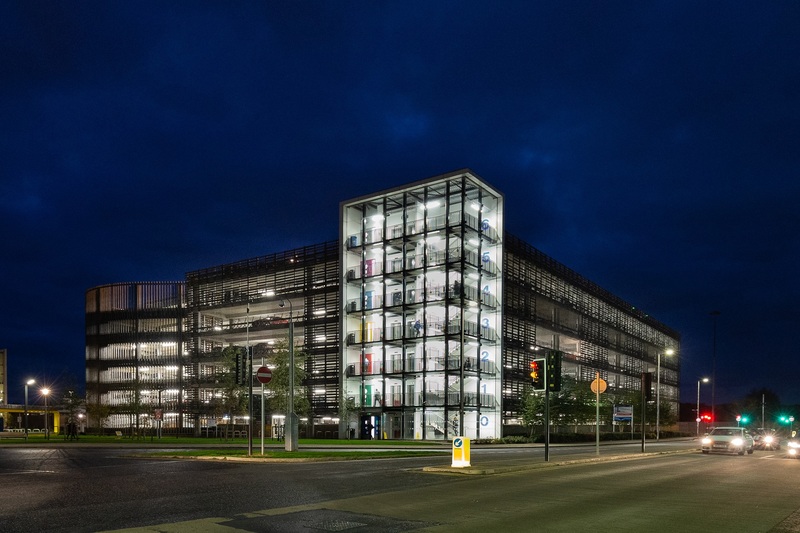 Temporary design was carried out in-house to ensure the structure could carry the loads. 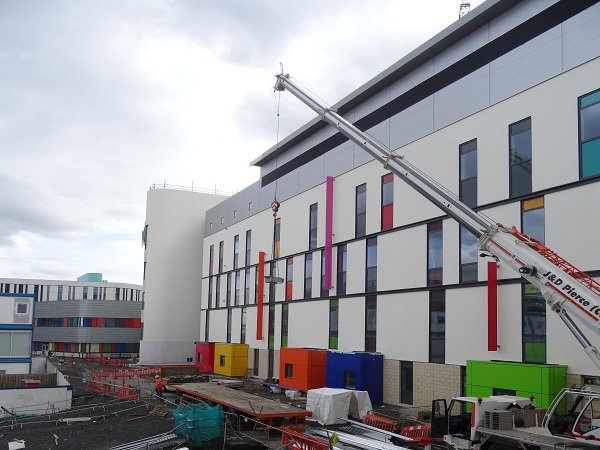 40 multi-coloured modules were prefabricated at our Glengarnock facilities, including cladding, floor decking, glazing and concealed lifting hooks. 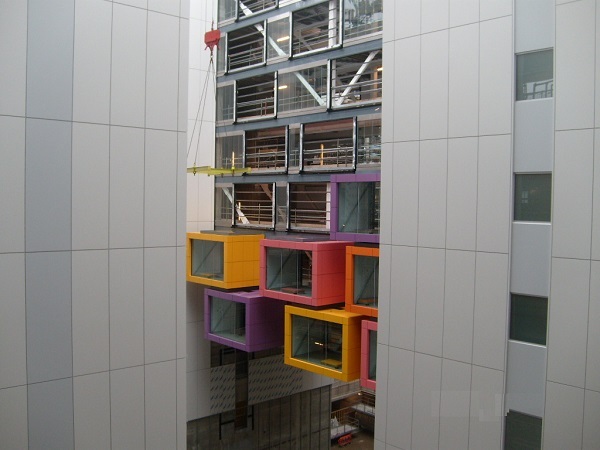 The pod modules were then delivered to site, lifted, and fitted onto a previously erected 12-storey high atrium bridge spanning 30m. 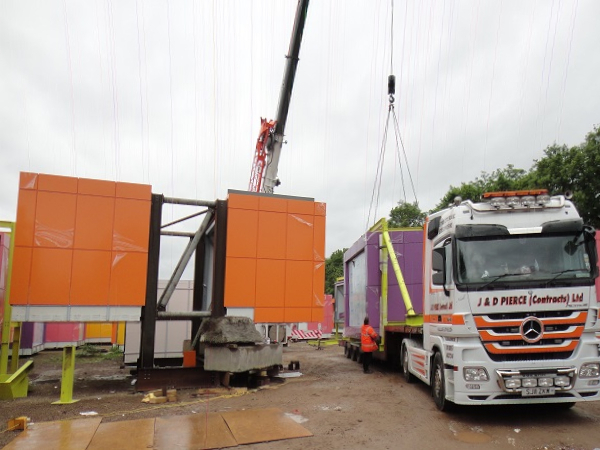 This was done using a bespoke lifting frame for the project, with prefabrication eliminating the need for additional work on-site. 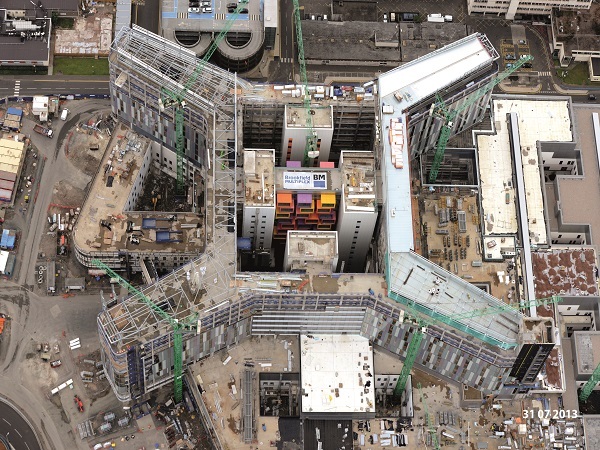 J&D Pierce erected two link bridges between the old and new hospitals. 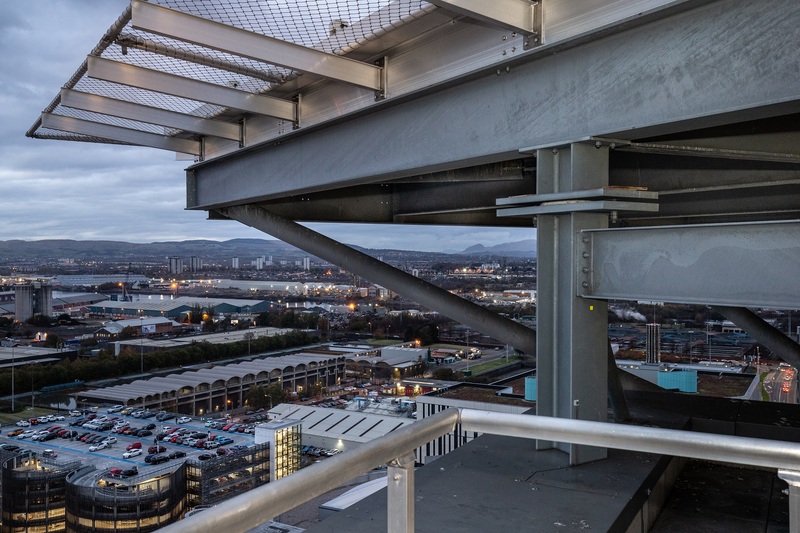 Using our in-house facilities to pre-fabricate and clad the bridges, this demanding transport job saw both link bridges measuring 26m long and 8m high each.